HEIDENHAIN is presenting the new TNC 640 at IMTS 2012. For the first time, milling and turning are combined in one TNC. 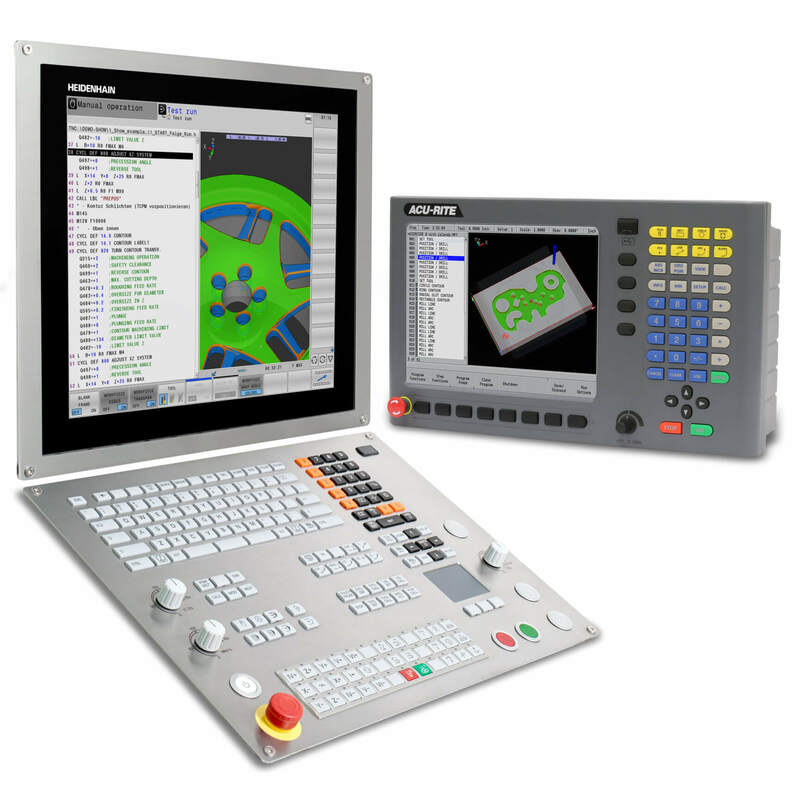 The new TNC 640 is designed for machine tools capable of multi-operation machining. Its exterior already captivates you with its classy design: the restyled keyboard, elegant stainless steel housing, and large 19″ monitor. 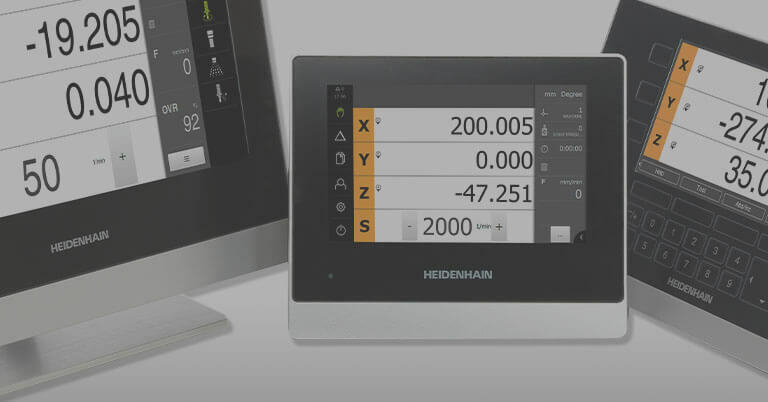 But as you are accustomed to from HEIDENHAIN, it is the intrinsic values that are supposed to convince you: the ones that make switching between milling and turning modes easy and practical for daily use. Machine tools for multi-operation machining are the hot item right now. However, the combination of milling and turning not only saves time and money, but also makes both the machine and the control more complex. In order for the machine operator to keep cool during this combination of operations, HEIDENHAIN has pulled out all the stops to ensure that operation is as easy and straightforward as possible: this starts from the new design, and continues to the functions that make switching between milling and turning especially easy, preventing errors from occurring. If you take a look at the new TNC 640 at IMTS, you can be impressed by the modern design of the stainless steel housing around the 19″ screen as well as by the new keyboard with its slightly convex keys. They are pleasant to the touch and reliable in operation. Their inscriptions do not wear off, even under extreme workshop conditions. The integrated machine operating panel now has LEDs that indicate the machine’s current operating statuses. Improved overview of NC programs through identification via various colors. The rectangular, slightly rounded keys are pleasant to the touch and reliable in operation. With smartSelect you can select functions quickly and easily under dialog guidance. In the NC program, you can use very easy plain-language commands to change as desired between turning and milling. 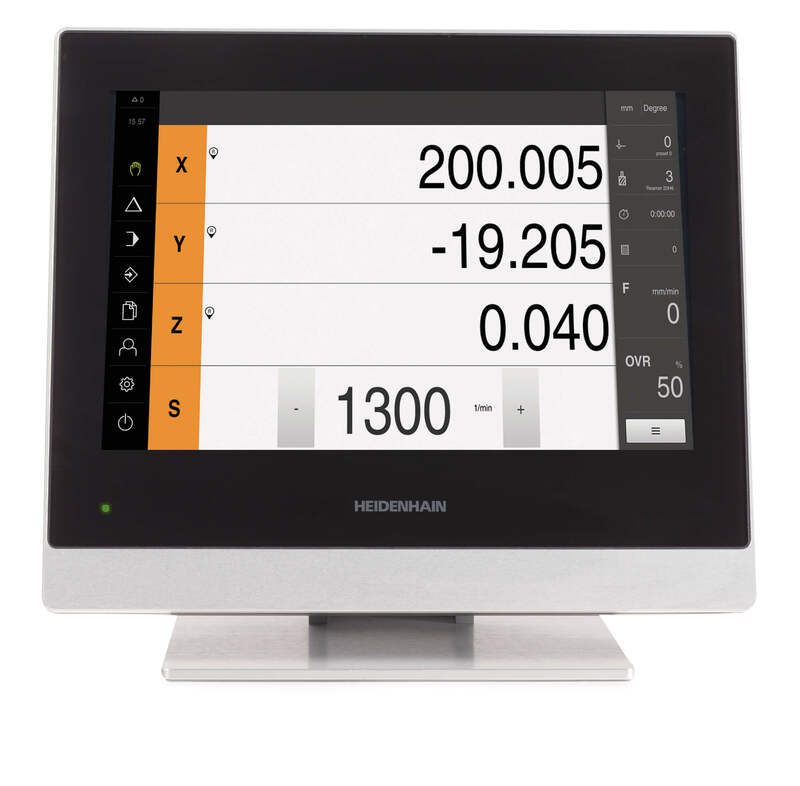 Operators of HEIDENHAIN controls just need one quick look at the editor to see the next development: tabs on the user interface indicate the various groups of operating modes. The programming dialog is now more like the window with the machining program, and various colors are used by syntax highlighting to differentiate between commands, values and comments. All this lets the machine operator see more easily and reliably what is important at the moment. The growth in functions has naturally led to many more soft keys. The new smartSelect feature helps to “disentangle” the lower-level soft keys, and presents them in a tree view. Of course only those functions that can be defined in the current operating state are shown. Clicking the desired functions reveals detailed information in the right half of the window. Machining programs for multi-operation machining cover milling, drilling, boring and turning procedures. 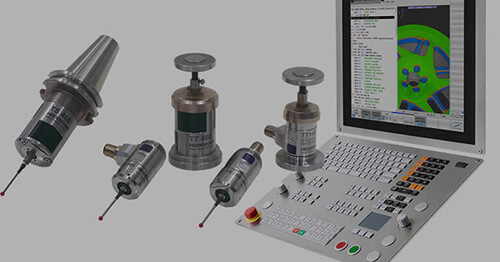 Since that would appear to make program creation quite difficult, the software developers at HEIDENHAIN made sure that switching between the operating modes would be very simple: standardized plain-language commands are used in the NC program to switch between milling and turning modes at will. There are almost no restrictions, since the switchover is completely independent of the momentary axis configuration. During milling the TNC plays out its familiar strengths, but for turning it has learned a lot from the HEIDENHAIN lathe controls, including the tried-and-true turning cycles. 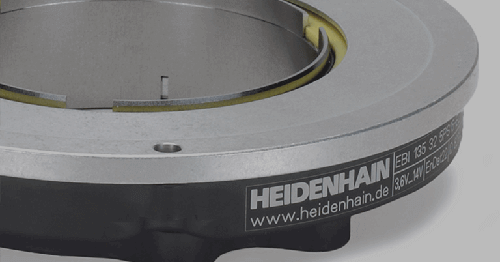 The turning contours are naturally programmed in HEIDENHAIN conversational language, and can be saved in contour subroutines, just as for milling. The familiar FK free contour programming feature can also be used for turning contours to complete drawing data not dimensioned for NC. The range of functions of course also includes the recess and undercut contour elements, with their appropriate support graphics. The qualities of the new TNC 640 are intended to make it very easy for operators with milling experience on TNCs to quickly and easily machine turned contours. The operator is not supposed to be encumbered with manual modifications and conversions when switching between the machining modes. That is why the TNC 640 carries out many of these changes itself: the control adapts all displays to the respective mode. Along with the programming graphics this also includes toggling between position and diameter display. 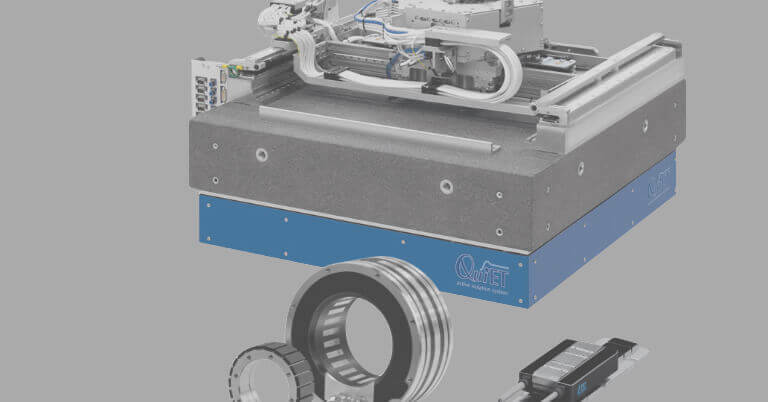 The datum can automatically be set to the middle of the rotary table, and machine dependent functions can be activated, such as clamping of the tool spindle. Functions that are the same for milling and turning keep their TNC designation, even if the control must act differently. In both modes M144 stands for the necessary tilting of the axes with inclined tool. When turning with an inclined tool, the TNC 640 considers the angle of inclination in order to avoid damage to the contour. If the same tool is to be used for internal and external turning, it can be reversed with Cycle 800 without having to change the tool orientation in the tool table. 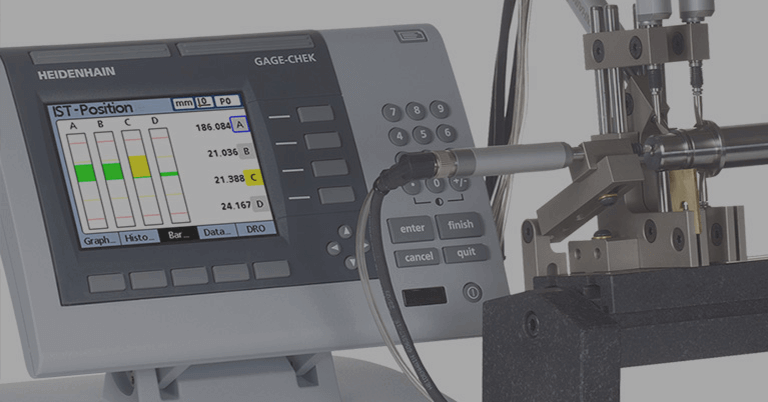 The TNC 640 calculates the inclination of the tilting axes itself, and positions the milling spindle with the turning tool to the correct position. 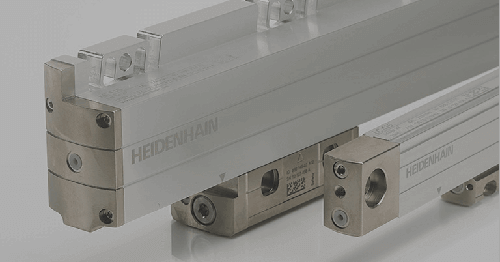 With the simple switch between machining modes, HEIDENHAIN has remained true to its consistent strategy regarding its users: the functions of a control must prove their worthiness in practice. The more complex the tasks are, the more important a clear interface and simple operation become. After all, not only the multi-operation machining on powerful machine tools should be particularly efficient, but also the program creation and setup. That is why the new, high-end TNC 640 control innovatively uses its proven virtues to make it very easy for the machine operator to perform this combination of milling and turning. HEIDENHAIN controls have always been known for their comprehensive and technologically sophisticated package of cycles for frequently recurring operations. Naturally this also applies to the TNC 640. The package of cycles contains, along with the familiar TNC milling, drilling and boring cycles, many intelligent turning cycles, with which even complex turning operations can be programmed very easily at the machine. The existing know-how of the HEIDENHAIN lathe controls flowed into this package. The tool geometries defined in the turning tool table are considered by the turning cycles into order to avoid contour damage. The new and high-performance control is suited for HSC and 5-axis machining on machines with up to 18 axes. Equipped with the familiar TNC milling functions and the turning functions, the new TNC 640 is a powerful control for multi-operation machining. The hardware of the new TNC 640 is based on a new and completely digital hardware platform. All components are connected to each other through digital interfaces. The uniformly digital design is the optimum precondition for combining highest accuracy and surface definition with high traversing speeds. The new TNC 640 has powerful processor hardware. The block processing time is just 0.5 ms, and a hard disk with up to 138 GB for use by the operator is available for NC programs.